On Facebook, the News Feed is king. The algorithms behind it control which posts you see from your friends and your frenemies. Every little action you do on Facebook is tracked and it’s all factored in to determine which posts show up first. Sometimes though, Facebook gets it wrong. 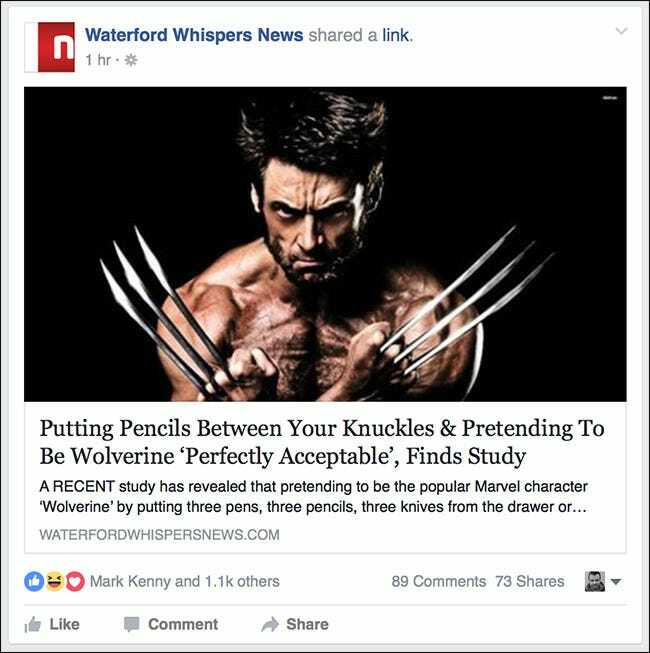 Your News Feed ends up clogged with articles you’re just not that interested in and posts from people you don’t really know. This does neither you nor Facebook any good. You’ll have a bad time and won’t use Facebook much so they won’t make any money serving you ads. 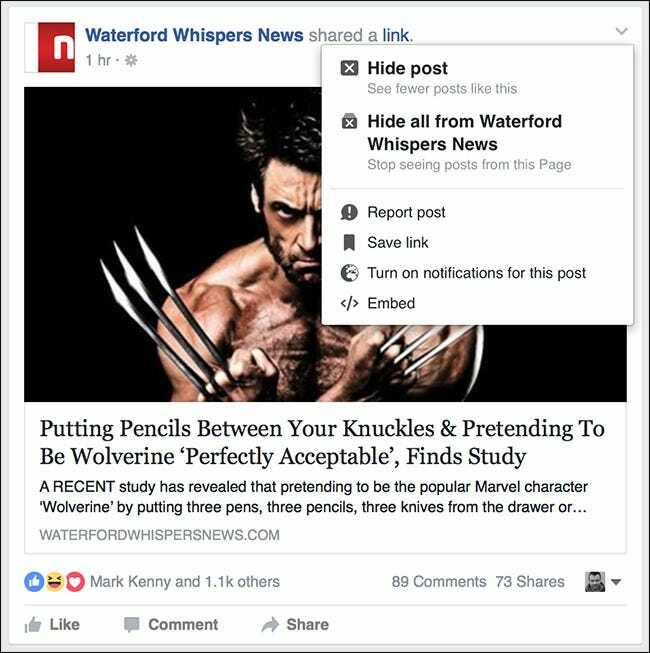 Thankfully, Facebook has developed some tools to help you sort your News Feed. 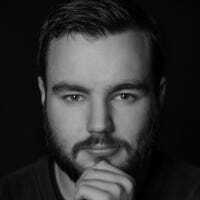 Let’s look at how you can see the posts you want to see as soon as you log in without ever having to sort through the cruft. 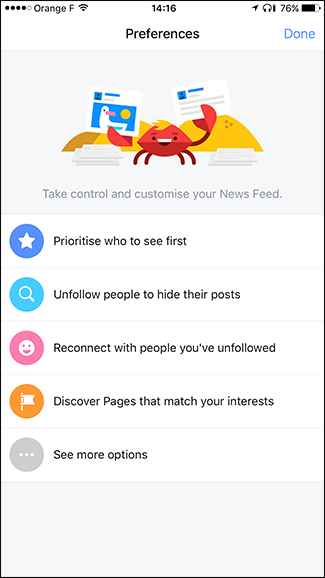 The first place to start is with Facebook’s own News Feed Preferences option. 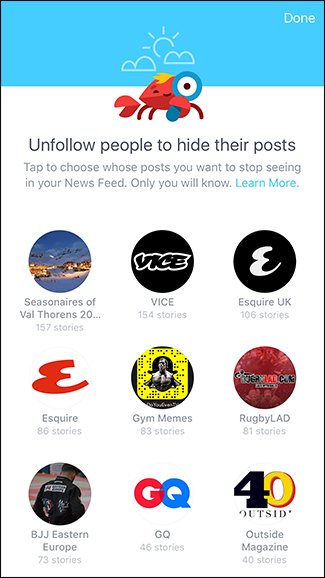 It’s a tool that lets you decide which people and pages show up first in your News Feed and unfollow people and pages you no longer want to see. The tool is the same on the website, iOS, and Android, so I’m going to work through using the iOS version. Use whichever one you want. 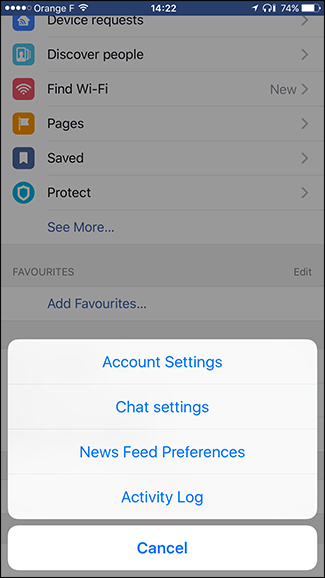 To get to the tool on the website, click on the Settings Arrow and select News Feed Preferences. 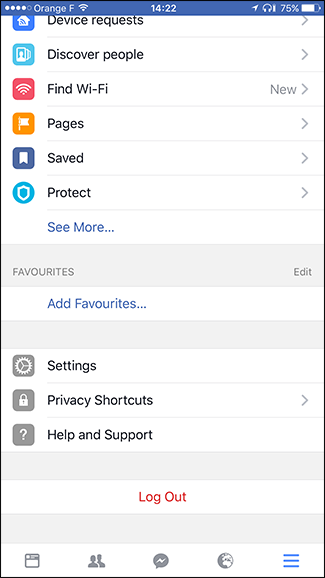 On the mobile apps, go to Settings > News Feed Preferences. 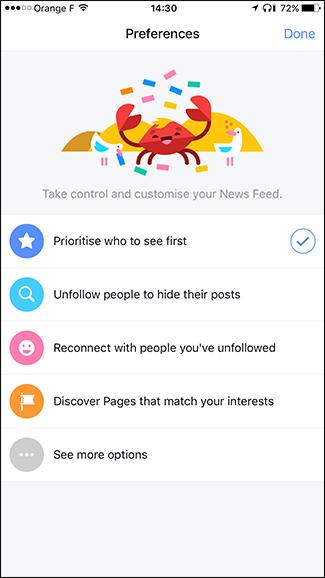 This brings you to the News Feed Preferences tool. Let’s start with “Prioritize Who to See First”. 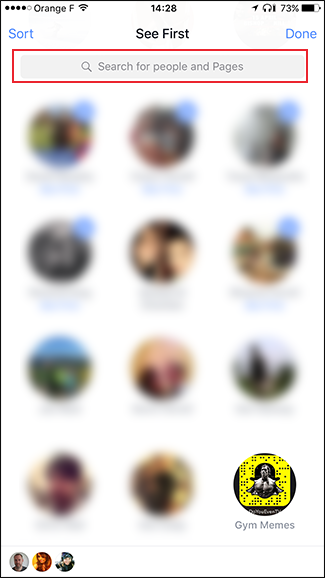 Select it and you’ll be presented with a list of all the people and pages you interact with the most. Select any of them that you want to show up at the top of your News Feed. 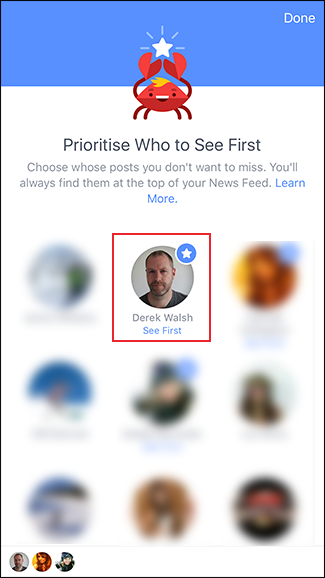 If you don’t see the person or page you want to prioritize in Facebook’s list, you can use the Search or Sort functions to find them. When you’re finished, tap Done. 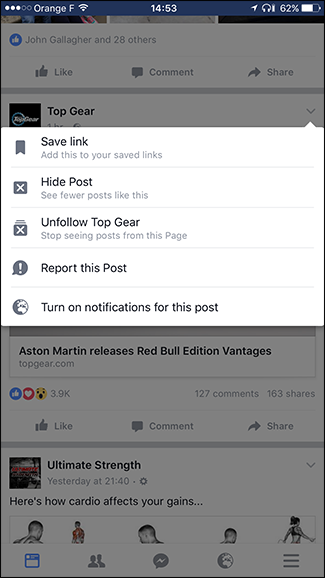 Now Facebook knows who you care about enough that you want to see all their posts up front. Let’s move onto getting rid of people and pages that are no longer interesting. Select “Unfollow People to Hide Their Posts”. 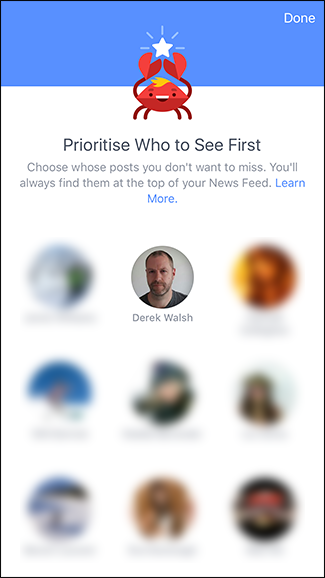 Rather than a list of your best friends, Facebook will show you all the people and pages in descending order based on how much they’ve posted recently. Select any of them you want to unfollow. 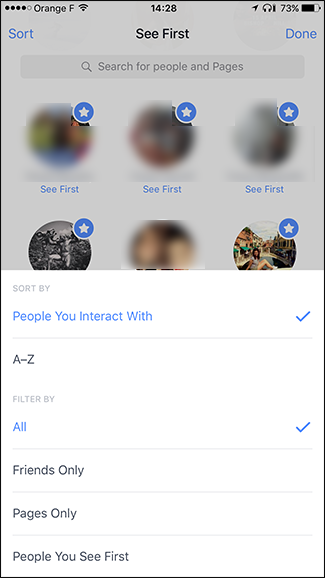 You can use the same search and sort functions to find a specific person or page. When you’re ready, tap Done. The last two options aren’t as useful. 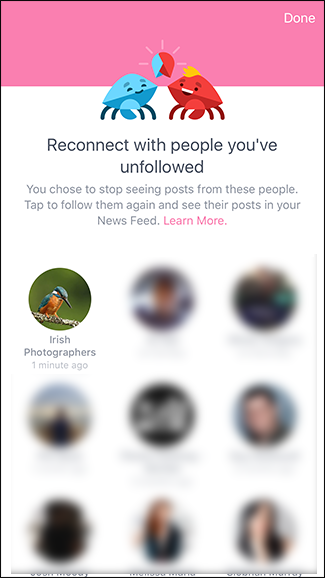 Reconnect the People You’ve Unfollowed shows you a list of all the people and pages you’ve unfollowed and lets you follow them again. 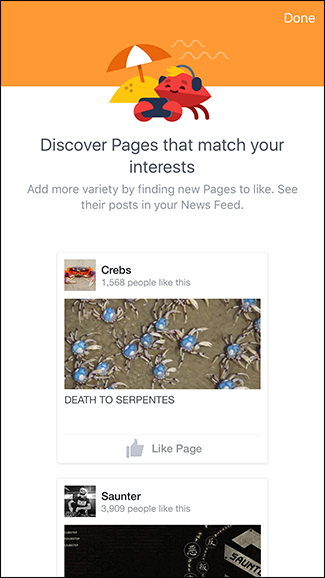 Discover Pages That Match Your Interests shows you some pages that Facebook thinks you might like. 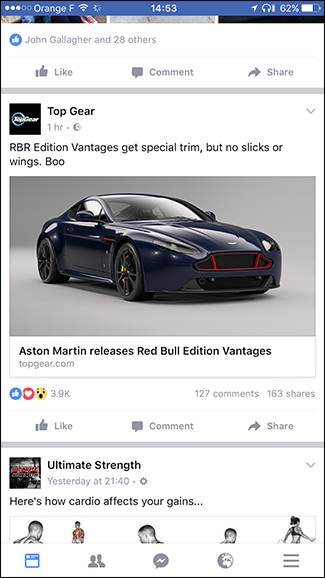 If you’re trying to clean up your News Feed, adding people you already got rid of back in or finding new pages don’t really help. Have a look and see if there’s anything you want to use either one for, but they probably won’t help a lot. Doing one big clean-up is all well and good, but if you’re anything like me, you’re regularly adding new friends and interacting with new pages. A month after you’ve unfollowed people, there will probably be some new annoyances. The best way to make sure that doesn’t happen is to unfollow things as you go. If you see a post that annoys you from someone you’re not interested in, just unfollow them right then. Here’s how to do that. On the website, click on the little arrow next to any post. 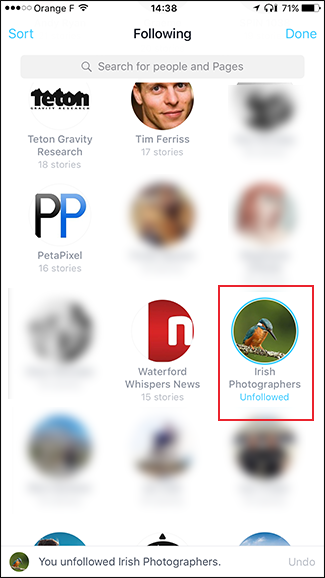 Next, click Hide All From the page or person you want to unfollow. And that’s it; they’re unfollowed. In the mobile apps, the process is much the same. It just looks a little different. Tap the arrow next to any post and then tap Unfollow. If you keep on top of things and get rid of posts you no longer want to see as they appear, your News Feed will stay nice and tidy. How much you enjoy Facebook is entirely down to the quality of your News Feed. If you see a load of stuff you’ve no interest in, you’re not going to have a very good experience. On the other hand, if you’re seeing posts from the people and pages that are important to you, it’s a useful tool.